Adiyen. 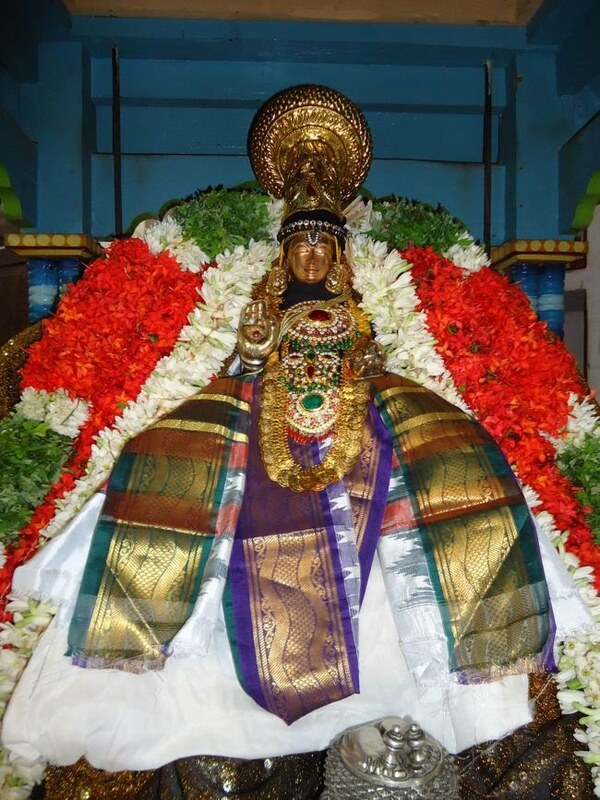 On this auspicious AavaNi - Hastham, thirunakshtahra subha dinam of Srimad Mukkur Azhagiyasingar, with the divine grace of AchAryan, PoorvAchAryAL, AchArya pAdukAs, Swami Desikan and Sri Lakshmi HayagrIvan, Sri Thooppulmaal Sathsampradaya Sabha (STSS) is happy to share a series of articles titled தேசிக நாள் தெள்ளமுதம் (dEsika nAL theLLamudham) as part of this year's Swami Desikan PurattAsi SravaNa MahOtsavam. First article of this series named "சரணாகதி" ( saranAgati ) is blessed by ஸ்ரீமதுபயவே ஸ்ரீபாஷ்ய ஸாராம்ருதவர்ஷீ, ஸ்ரீபாஷ்ய ஸிம்ஹாஸநம், ஸ்ரீவைஷ்ணவ ஸிம்ஹம், புரிசை நடாதூர் ஸ்ரீ க்ருஷ்ணமார்ய மஹாதேசிகன் ( Sri U Ve srIbhAshya sArAmrutavarshee, srIbhAshya simhAsanam, srIvaishNava simham, Purisai nadAdoor Sri Krishnamaarya Mahadesikan ). Adiyen's sAshtAnga praNAmangaL to acharyan for this parOpakAram. Adiyen's humble prostrations to Sri U Ve Purisai nadAdoor Sri Jagannathachariar Swamin for sharing the original article with us. Thiruvallur Sri. Raghava Nrusimhan Swamin has put together this article in a nice document with a lot of dedication and devotion. Adiyen’s heartfelt thanks to Swamin for this help.